This is already the 8th season we’ve organized popular walks around unique districts of Gdańsk. “We are visiting Zaspa, Biskupia Górka, Dolne Miasto, Nowy Port, Orunia, and – starting this year – Oliwa. Each walk is different, customized by the guide based on his or her idea and interests. The guides design their own narratives, showing unknown or forgotten places that are worthy of our attention,” elaborates Barbara Sroka from the City Culture Institute. The walking tours are free of charge and take place 2-3 times a week during summer in each district. “Year after year we see more and more people eager to discover places outside the main tourist routes. Over the summer, Local Guides take around 2000 people on 200 walks. These are not just tourists looking for a different way of discovering the city, but also inhabitants of Tricity, and even of the district in question,” explains Barbara Sroka, who coordinates the Local Guides project. 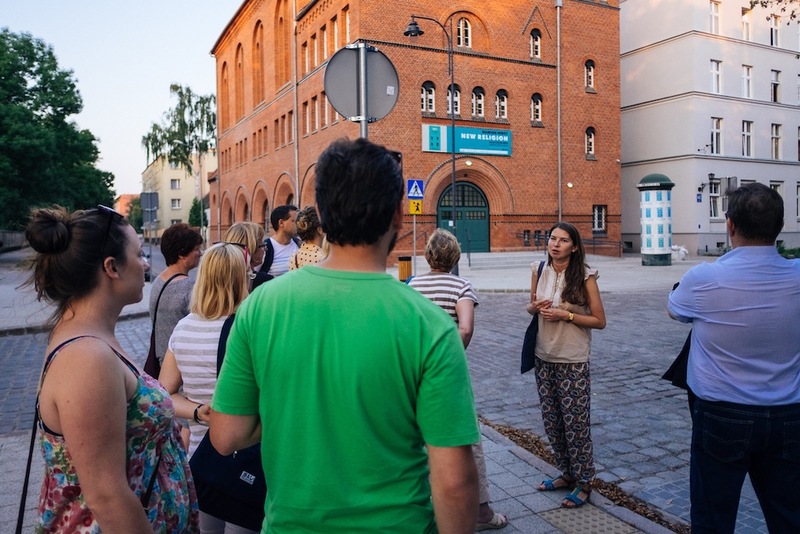 Another route of CCI’s alternative walks in partnership with the Metropolitanka social group is a guided tour of the Gdańsk Shipyard focused on women who used to work there. When sightseeing around the area of the former shipyard, guides talk about the buildings that are no more, such as the representative canteen, the old clinic or the seat of the shipyard’s administration. We can still visit the former seat of the management, the famous OHS room where the Gdańsk Social Accord was signed, the historical gate no. 2, assembly room no. 42 A, Pipe Fitting Department and slipways. The walk introduces participants to the everyday lives of female Shipyard workers and engineers, the hardships faced by female welders, constructors and cleaners and the fight of women responsible for installing insulation for better work conditions. This is also a story about women involved in the August 1980 strikes: both those that are well-known, and the anonymous ones – workers and members of the intelligentsia, without whom the August 1980 strike in the Gdańsk Shipyard would not have been possible. Walks around the shipyard take place between 24 June and 29 July, on Sundays, (4 p.m.), Wednesdays and Fridays (6 p.m.). Starting point: Historical Gate no. 2. The first district that offered walking tours with Local Guides back in 2011 was Zaspa. This is one of the largest clusters of panel housing blocks in Poland. Their trademark feature is colourful murals painted by 64 artists from 16 countries. All in all, there are 60 works of art on the walls of these blocks. The collection is acknowledged in Poland and abroad; there’s even a documentary by TVP Kultura (Bloki “Sztuka”) where you can hear Piotr Szwabe, curator of the Monumental Art Festival (2009–16) and Local Guide Jarek Orłowski. The best way to get to know the district, its history, the rationale behind the urban planning and historical events that took place there is taking a summer walk with Local Guides. Walks around the Monumental Art Collection in Zaspa take place on Tuesdays and Thursdays at 5.30 p.m. and on Saturdays at 1 p.m. Starting point: in front of Plama GAK, 11 Pilotów St.
Biskupia Górka, located right next to Śródmieście, is located on a 60 m hill which offers a beautiful panorama of Gdańsk. When walking on paved streets, among tenement houses from the turn of the 20th century, and reading the almost obscure inscriptions in German, one may really feel the atmosphere of pre-war Gdańsk. 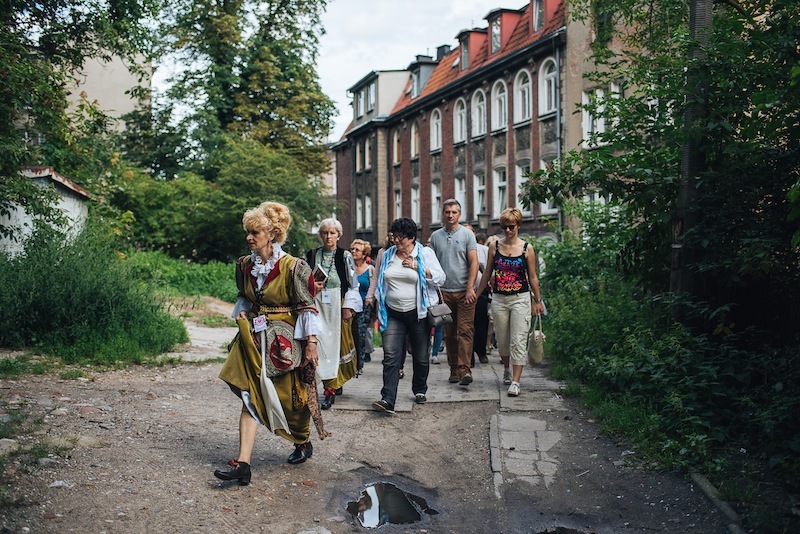 Local Guides will navigate you across the complex history of the city, the historical sights, amazing personalities, legends and anecdotes related to Biskupia Górka. Walks around Biskupia Górka take place on Mondays and Wednesdays, starting at 5.30 p.m. in front of the Pentecostal Church, 2 Menonitów St., and on Saturdays, starting at noon. Remember to wear comfortable shoes! The tobacco industry, Royal Rifle Factory, green areas and kayaking – discover Dolne Miasto! 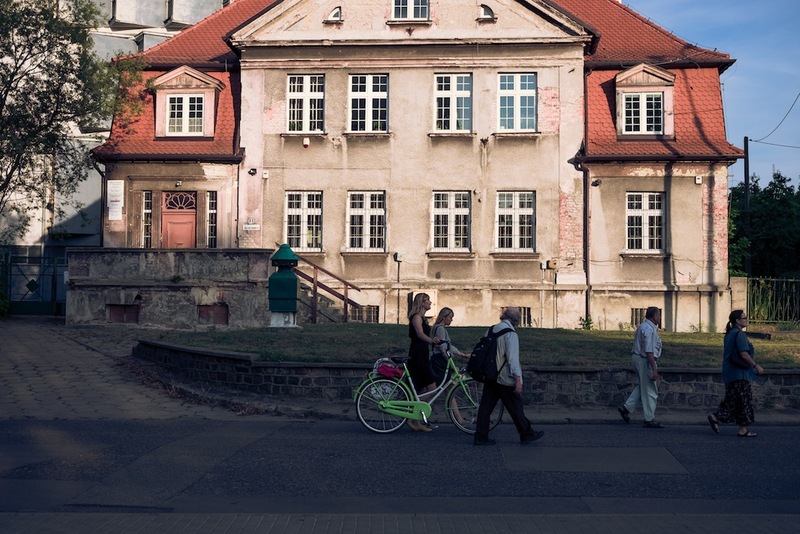 Suffice it to turn right behind Zielony Most to leave the beaten track of the Royal Route and enter a charming and increasingly valued part of Gdańsk: Dolne Miasto. Fans of modernist architecture will definitely love the building of the Gdańsk Tobacco Monopoly, enthusiasts of the automotive industry will learn about the assembly of American cars in the district, and those interested in public transport will have an opportunity to discover the history of the old depot. Dolne Miasto also stands for fantastic green areas: the former moat that now forms part of Motława river (brilliant for kayaking) and bastions offering fantastic vistas. Walks around Dolne Miasto take place on Tuesdays and Thursdays at 5.30 p.m. and on Sundays at noon. Start in front of Stągwie Mleczne, 14 Motławska St.
Nowy Port is a unique place on the north-eastern edge of Gdańsk. This is where Napoleon Bonaparte decided to stop for a layover, this is where both World War II and the Dockers’ Strike began. The walls of tenement houses remember many a mystery of the old port town. Where can we see a sculpture of the pomuchel fish, the Statue of Liberty and the Time Ball? Discover forgotten yards and feel the port atmosphere of the district? Local Guides will tell you all about the ordinary and extraordinary spots of Nowy Port. Walks around Nowy Port take place on Wednesdays at 5.30 p.m. and on Saturdays at noon. Starting point: in front of the former Maritime Community House, 15 Marynarki Polskiej St. Well-known Gdańsk families in a historical district boasting a beautiful park – welcome to Orunia! Orunia is picturesquely located between moraine hills and Żuławy polders, less than 10 minutes away by bus from downtown Gdańsk. The rich history of this place dates back almost to the settlement of the city. This is where notable Gdańsk families such as the Schopenhauers or Hoene built their summer houses. The district oozes inimitable suburban atmosphere, attracting visitors with its interesting architecture and the beautiful Orunia Park. The spine of the district is the Radunia Channel, built in mid-14th century on the initiative of the Teutonic Knights. The locals used to establish their workshops along its banks. After World War II, the inhabitants of Gdańsk would come here to swim, fish or ice-skate. Local streets, nooks and crannies witnessed a number of unexpected tales you will be able to discover during tours with Local Guides. Walks around Orunia take place on Tuesdays at 5.30 p.m. and on Saturdays at noon. Starting point: Kuźnia Café, 10 Gościnna St.
Oliwa is a beautiful district, whose atmosphere, architecture and nature have for years attracted inhabitants and tourists to take long walks. Either classical ones, around the Oliwski Park or Pachołek Hill, but also to Ewa’s Valley or Valley of Joy. This summer, the area, immortalized in a number of novels by Stefan Chwin, Paweł Huelle and Günter Grass, will gain a new narrative, told by Local Guides. Tenement houses, historical sites, atmospheric streets, the rustling waters of Oliwski stream, the high hills and quiet valleys all resonate with the long and interesting history of this place. “Take a walk with us along the ‘Road to infinity’ and listen to stories about notable inhabitants. Give in to the charm of the Ludolfino estate. Discover awe-inspiring and nostalgic places. Places offering inimitable vistas. Listen to anecdotes told by enthusiasts and lovers of the district,” says Magda Majchrzakowska, Local Guide around Oliwa. Walks around Oliwa take place on Wednesdays and Fridays at 5.30 p.m. and on Saturdays at noon. Starting point: Oliwski Ratusz Kultury, 25 Opata Jacka Rybińskiego St.
District partners: Biskupia Górka Association, Dolne Miasto Storytellers Association, From Liberation to Freedom Group, Stacja Orunia GAK, Plama GAK, Fundacja Wspólnota Gdańska. Cultural manager, MA, publishing and advertising industry specialist. Graduated from the Aleksander Zelwerowicz National Academy of Dramatic Art in Warsaw (Theatre Studies Department), the Warsaw School of Economics (Post-Graduate Studies in Culture Management) and from the Institute of Art History at the University of Warsaw (major: Market, media, art). Between 1995 and 2006, her work consisted of advertisement and marketing. Between 2007 and 2008, Representative of the President of Toruń for Efforts for the Title of the European Capital of Culture for 2016. Since December 2008, she was the Chief Consultant for Strategy and Promotion at the Gdańsk 2016 office. Since March 2011, she is the Deputy Director of the City Culture Institute. 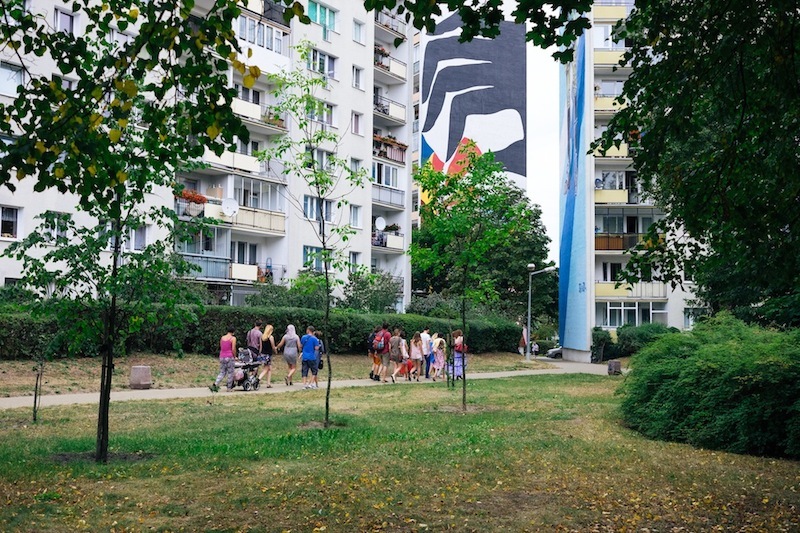 She performs projects related to art in urban spaces (including Monumental Art Festival, Gdańsk School of Mural) and engaging local communities (e.g. Local Guides).